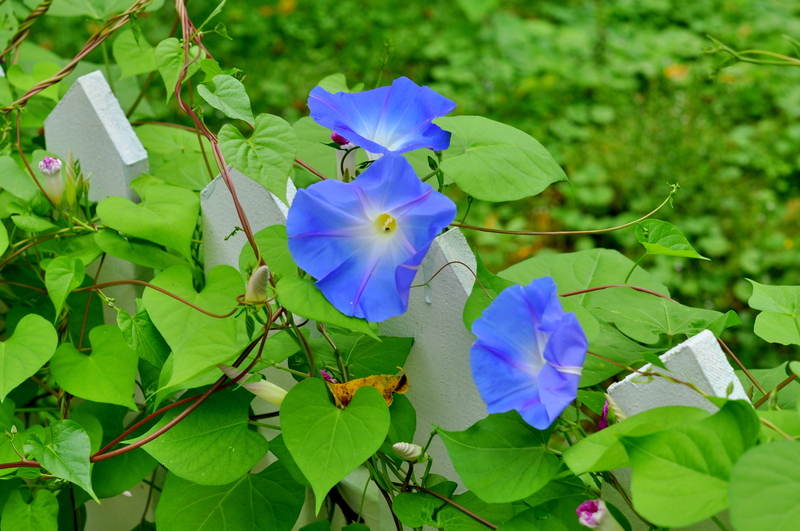 I’m away this weekend, so will leave you with these shots of morning glory I took a few months ago. The white picket fence really sets off the blue, doesn’t it? Great weekend, everyone! I’ll be back on Wednesday. 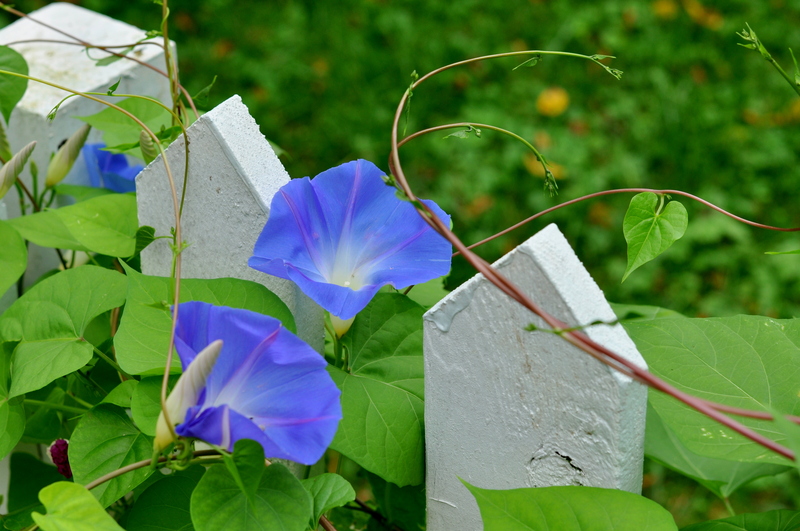 This entry was posted in photography and tagged morning glory, white picket fence. Bookmark the permalink. It does set off the colors. Blue and green is one of my favourite combinations anyway. I hope you will have a great weekend. Wow the colors really do pop in these photos. Beautiful.